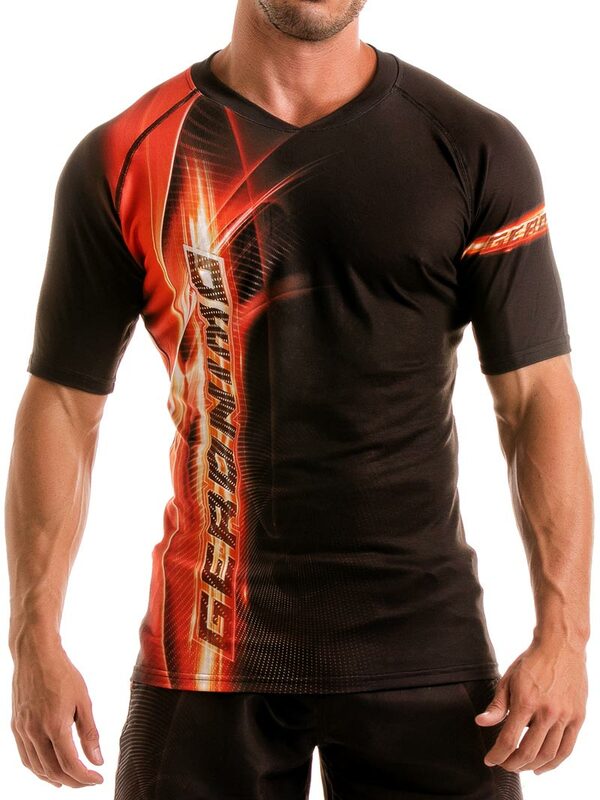 Geronimo 1911t5 Black flash vibrant men's short sleeve t-shirt. Featuring a delightful, psychedelic prints. 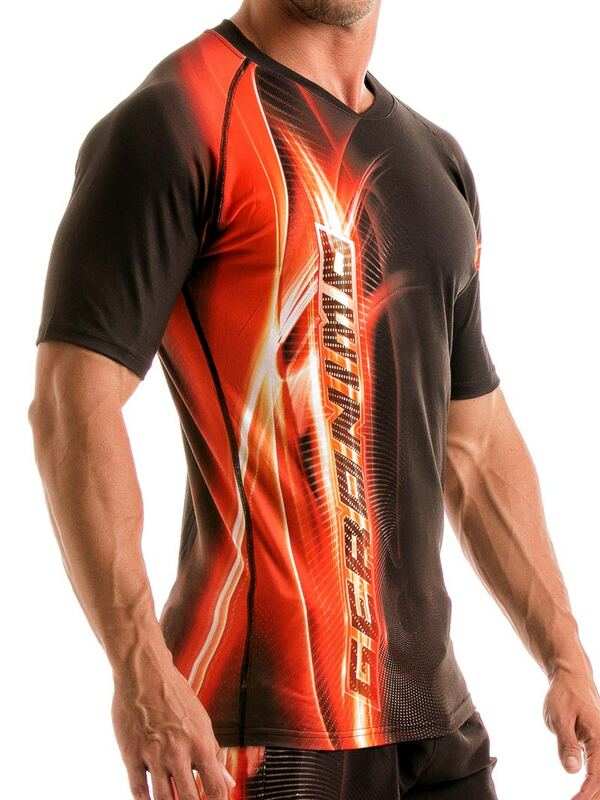 The fabric is high quality - silky smooth, lightweight and stretchy. Smart enough to wear with your favorite jeans or shorts for an effortlessly cool look, also ideal for everyday wear and sportswear. 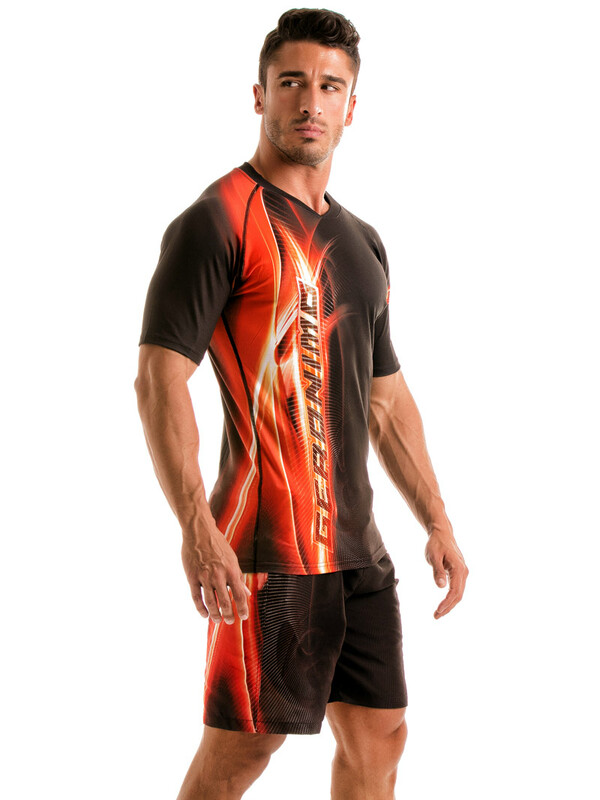 This t-shirt for men can be worn on its own or as an extra layer.